Geoff Marcy remembers the hair standing up on the back of his neck. Paul Butler remembers being dead tired. The two men had just made history: the first confirmation of a planet orbiting another star. The groundbreaking discovery had been announced less than a week earlier by the European team of Michel Mayor and Didier Queloz. But the news was met with some initial skepticism in the astronomical community. By a stroke of good luck, Marcy and Butler happened to have previously scheduled observation time on a 120-inch telescope at the Lick Observatory, atop California's Mount Hamilton. The scientists, who would become two of the world's most famous planet hunters, remember driving down the mountainside together in October 1995. They'd spent four straight nights making their observations. And while further processing would be needed to make the scientific case, their data seemed clear and unmistakable — and almost impossible. A huge planet, at least half the size of Jupiter, was not only orbiting its host star more tightly than Mercury hugs the sun. It was racing around that star, making a complete orbit in just four days. The planet, called 51 Pegasi b, would open a new era in humanity's exploration of our galactic neighborhood. It would be the first in a series of "hot Jupiters" — giant planets in fast, tight orbits — discovered in rapid succession. The rush of new worlds would propel Marcy, Butler and their research team into the media spotlight, and forever change our view of the cosmos. But for the moment, on that solemn drive down the mountainside, Marcy and Butler were alone with their world-altering news. "We knew we were the only people on the planet to be sure that 51 Peg, the planet, really did exist," Marcy said recently. "It was exhilarating. We were absolutely thrilled to know an historic moment in science history was happening before our eyes. It was a truly spine-tingling experience." Still, the astronomical pioneers had a few struggles ahead to gain the acceptance of the scientific community. The hunt for extrasolar planets — exoplanets, for short — had a poor track record, with decades' worth of false detections. Among them was the thrilling discovery of a planet orbiting Barnard's star in the 1960s; it turned out to be an unnoticed shift of a telescope lens. 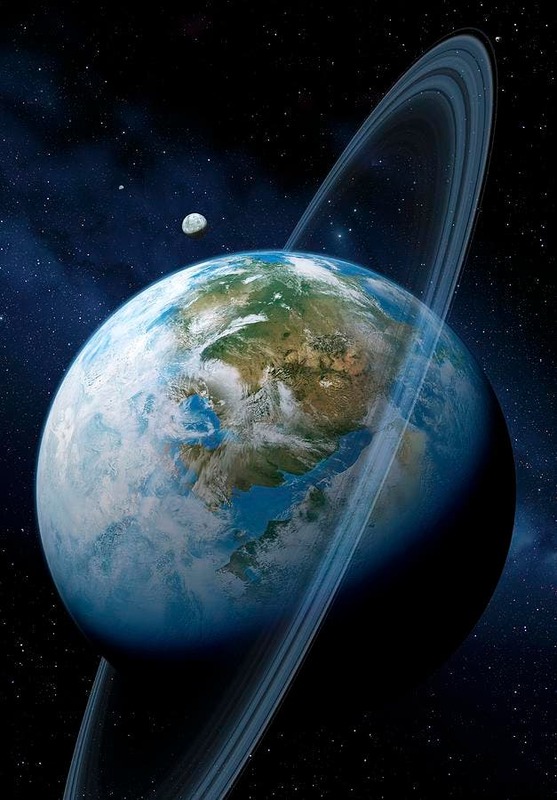 Once the shift was accounted for, the "planet" disappeared. The early '90s had seen the actual detection of "pulsar planets," but these seemed too strange to count, orbiting a rapidly spinning, radiation-spewing stellar remnant called a pulsar. Most scientists would reserve the "first" designation for a planet orbiting a normal star. "The whole field had a snake-oil sort of feel to it," Butler said in a recent interview. "For the previous fifty years or so, there were many announcements, all proved to be wrong. If we went to a meeting and said we were looking for extrasolar planets, we might as well have said we were looking for little green men." Even Marcy greeted the announcement of 51 Peg, made at a scientific conference in Florence, Italy, by Mayor and Queloz, with a bit of a yawn — at first. "This claim on October 6, 1995, of the first planet ever discovered was sort of business as usual," he said. "Here's another false claim. This one is more obviously a false claim. The orbital period is claimed to be 4.3 days. Nobody in their right mind thought planets could orbit so close to a star." But the four nights of observations at the Lick Observatory — perfectly coinciding with 51 Peg's four-day orbit — changed all that. Both the Mayor and Marcy teams had been trying to develop a planet-hunting technique based on wobbling stars. The wobbles, known as the star's "radial velocity," were induced by the gravitational tugs of orbiting planets. The starlight wavelength was compressed, then stretched, as the star moved toward and away from astronomers' telescopes. Now, Mayor and Queloz had proven that the technique worked. And a few days later, Marcy and Butler validated both the method used by Mayor's team and their own very similar detection method. But Marcy and his team realized something more. The only thing that had kept them from beating Mayor's group to that first detection was a perfectly reasonable assumption: that big planets moved in stately orbits, like the 12 years it took Jupiter to take one lap around the sun. Either they would have to watch stars for a very long time, or they would have to refine their wobble detector until it could pick up the very tiny shifts in a star's position caused by small planets in tighter, faster orbits. They were working on just this type of refinement when Mayor announced his discovery. More importantly, they had been recording observations with their wobble-detecting device, known as a spectrograph. Sure enough, when they took another look, big, star-hugging planets began popping out of their data. At a meeting of the American Astronomical Society in January 1996, Marcy announced two more planet discoveries: 70 Virginis and 47 Ursae Majoris. The first had a 116-day orbit — far more reasonable than 51 Peg's scorching four days — and its orbit was elliptical, making it unlikely to be anything but a planet. The orbit of 47 Ursae Majoris was more reasonable still: 2.5 years. Together, they provided a "bridge" to our own solar system, Marcy said, with planets behaving themselves as proper planets should. The discoveries vaulted Marcy and his team into scientific celebrity status, with appearances on nationwide nightly news shows; their new planets even made the cover of Time magazine. And the Marcy-Butler team was just warming up. The floodgates were opened. They discovered at least 70 of the first 100 exoplanets that were found in the years that followed. Their pioneering, planet-hunting safari went on for a decade. Soon, however, the landscape would change yet again. The gold rush of planet finding kicked into high gear with the launch of the Kepler Space Telescope in 2009. This spacecraft nestled into an Earth-trailing orbit, then fixed its eye on a small patch of sky — and kept it there for four years. Within that patch were more than 150,000 stars, a kind of cross-section of an arm of our own Milky Way galaxy, as if Kepler were shining a searchlight into deep space. Kepler was looking for planetary transits — the infinitesimally tiny dip in starlight that occurs when a planet crosses the face of the star it is orbiting. Kepler was the brainchild of William Borucki of the NASA Ames Research Center in Moffet Field, California. Borucki, who retired in early July 2015, doggedly pressed his case for Kepler. During the '90s, his proposed designs were rejected no less than four times. He finally won approval from NASA in 2001. But no one knew what Kepler might find, or even if it would find anything at all. "We launched Kepler, to some extent, like Magellan or Columbus went to sea, not knowing quite what we were going to encounter," said James Fanson, deputy manager in the Instruments Division at NASA's Jet Propulsion Laboratory in Pasadena, California. Fanson was Kepler's project manager when the spacecraft was launched. "We knew we were going to make history," he said. "We just didn't know what history we were going to make." Kepler's transit watch paid off, however, identifying more than 4,600 candidate planets hundreds to thousands of light-years distant. So far, 1,028 of those have been confirmed — some of them Earth-sized planets that orbit within their star's so-called habitable zone, where liquid water can exist on a planet. Scientists are still mining Kepler data, regularly turning up new planetary candidates and confirming earlier finds. Kepler itself ended its initial mission in 2013, when two of four reaction wheels used to keep the spacecraft in a stable position failed. But the Kepler science team developed clever ways to continue squeezing useful data out of the space telescope, relying on the subtle pressure of sunlight to stabilize it on one axis. Kepler is now in its second phase of life, and it's still discovering planets. Preceding Kepler was the groundbreaking COROT satellite, a European venture launched in 2006 that discovered numerous planets before it ceased functioning in 2012 — including the first rocky planet found to orbit a sun-like star. COROT used the transit method to detect exoplanets, and was the first space mission dedicated to that purpose. The prolific discoveries still flowing from the Hubble Space Telescope include not only exoplanets, but characterizations of exoplanet atmospheres, identifying a variety of gases. And the Spitzer Space Telescope has found water vapor in exoplanetary atmospheres as well as weather patterns. Both the wobble and transit methods, relied upon by the exoplanet pioneers, are still in use today, along with several other techniques. And 20 years after the first discovery, the exoplanet total is up to more than 5,000 candidates, with more than 1,800 of those confirmed. The galaxy, it seems, is crowded with planets. Yet we are not yet able to answer the big question: Are we alone? A new generation of telescopes in the years and decades ahead, on the ground and in space, will continue to search for an answer. One critical tool will be the same one pioneered by Marcy and the other early planet hunters: spectroscopy. They used this method to dissect the light coming from distant stars, revealing their back-and-forth, planet-induced wobbling as the starlight was stretched and compressed; the newest generation of instruments will do the same thing to the light from the atmospheres of exoplanets. Splitting this planetary light into its constituent parts, a little like the rainbow colors of sunlight shining through a prism, should reveal which gases and chemicals are present in those alien skies. And one day, some of those atmospheric constituents might suggest the presence of life far beyond planet Earth.